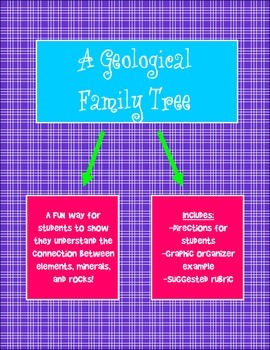 Students must demonstrate mastery of the connection between elements, rocks, and minerals as well as the characteristics of each when completing this "geological family tree." 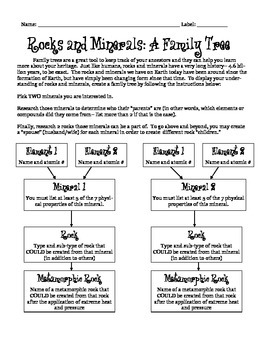 This project could be differentiated for gifted students by requiring students to create a "spouse" for each mineral and rock or requiring more information about each element, mineral, or rock. 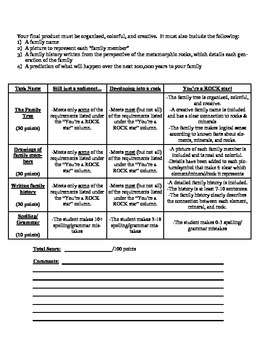 Similarly, it could be simplified for ELL students or students with special needs (only focus on one strand of the family tree, for example). This project will take students some time, because it's a project, but I used it this year in place of a test and the students loved it!! !